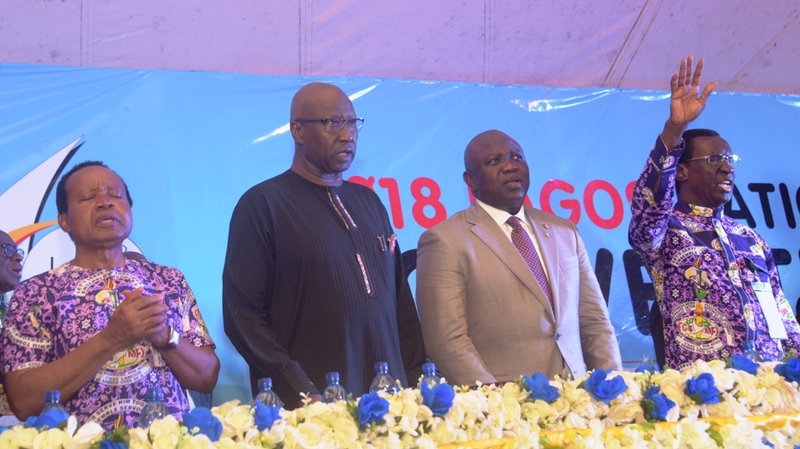 Lagos State Governor, Mr. Akinwunmi Ambode (middle); National President, Full Gospel Business Men’s Fellowship International-Nigeria (FGBMFI), Arc. Ifeanyi Odedo (left) and Secretary to the Government of the Federation, Mr. Boss Mustapha (right) during the 2018 Lagos National Convention of the FGBMFI, at the Police College, Ikeja, on Saturday, November 17, 2018. 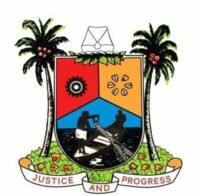 Lagos State Governor, Mr. Akinwunmi Ambode; National President, Full Gospel Business Men’s Fellowship International-Nigeria (FGBMFI), Arc. Ifeanyi Odedo; Secretary to the Government of the Federation, Mr. Boss Mustapha; Secretary, Board of Trustees, FGBMFI, Arc. Azike Diribe and International Director/Trustee, Dr. Olusola Ajolore during the 2018 Lagos National Convention of the FGBMFI, at the Police College, Ikeja, on Saturday, November 17, 2018. 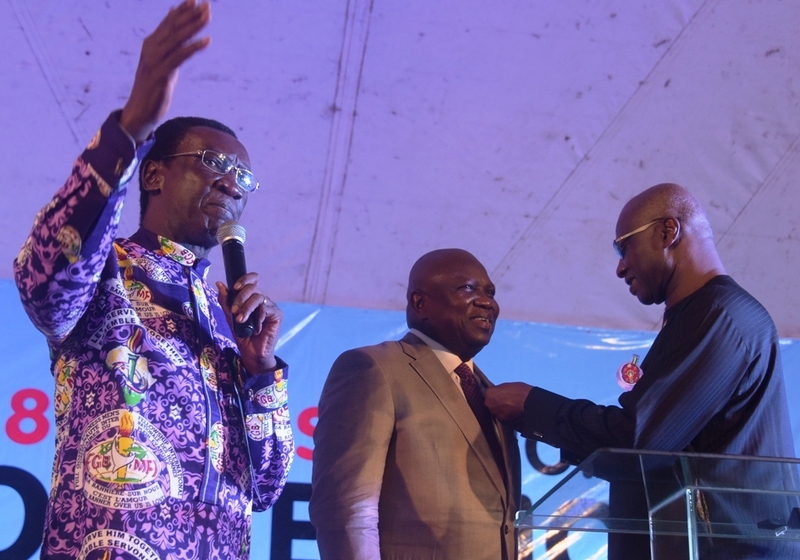 Lagos State Governor, Mr. Akinwunmi Ambode (middle), being decorated as a life member of the Full Gospel Business Men’s Fellowship International-Nigeria (FGBMFI) by Secretary to the Government of the Federation, Mr. Boss Mustapha (right) during the 2018 Lagos National Convention of the FGBMFI, at the Police College, Ikeja, on Saturday, November 17, 2018. With them is the National President, FGBMFI, Arc. Ifeanyi Odedo (left). 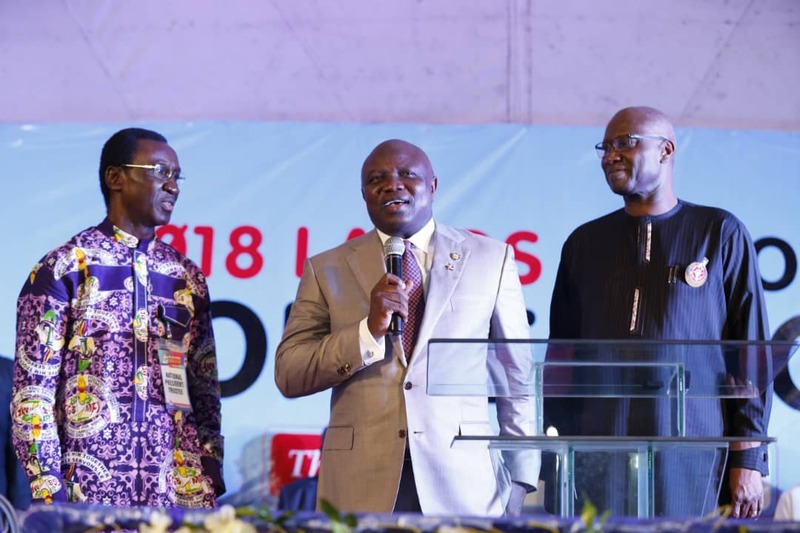 Lagos State Governor, Mr. Akinwunmi Ambode (2nd right); National President, Full Gospel Business Men’s Fellowship International-Nigeria (FGBMFI), Arc. 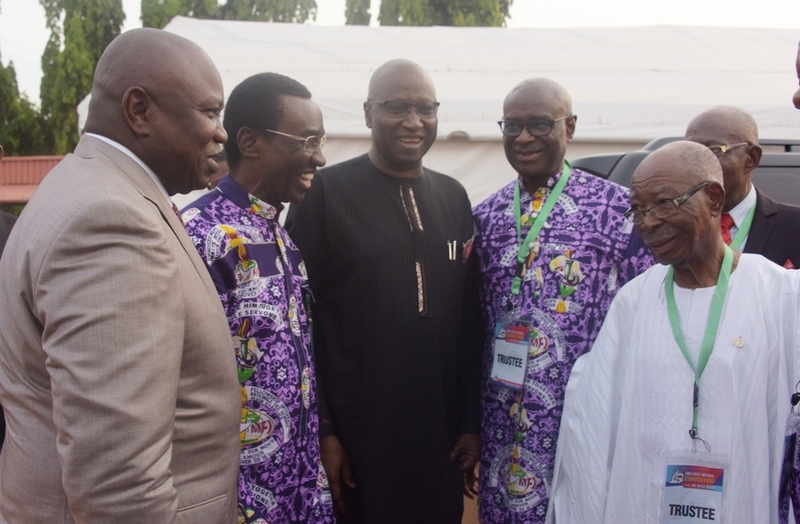 Ifeanyi Odedo (right); Secretary to the Government of the Federation, Mr. Boss Mustapha (2nd left) and Treasurer, FGBMFI, Dr. Dan Oku (left) during the 2018 Lagos National Convention of the FGBMFI, at the Police College, Ikeja, on Saturday, November 17, 2018.